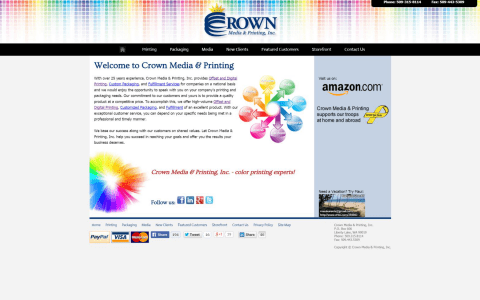 Crown Media & Printing, Inc. provides Digital, Offset Printing and Custom Packaging for companies on a national basis. Work done: Website Design, Custom Web Applications, Managed Content, Shopping Cart, Website Hosting. 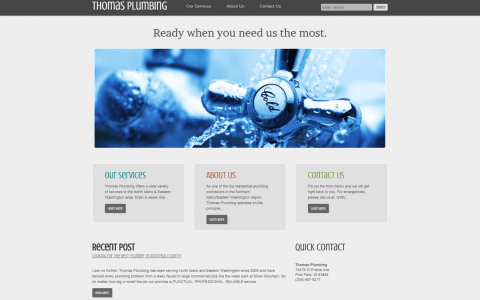 Thomas Plumbing has been serving North Idaho and Eastern Washington since 2000 and have tackled every plumbing problem from a leaky faucet to large commercial jobs like the water park at Silver Mountain. Work done: Website Design, Managed Content, Website Hosting. 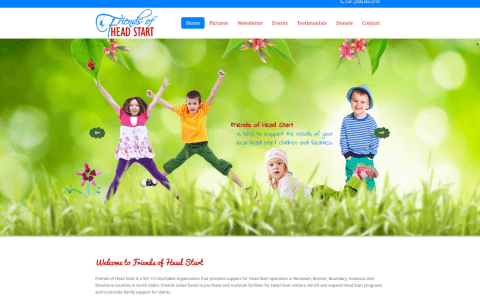 Friends of Head Start is a 501-C3 chartiable organization that provides support for Head Start operation in Benewah, Bonner, Boundary, Kootenai and Shoshone counties in North Idaho. Work done: Website Design, Custom Web Applications, Managed Content, Website Hosting. Excelsior Creations will take your website to new heights! Whether you are looking for Web Design, Website Hosting, a new Logo, Social Media Marketing, Domain Registration, Custom Applications, Website Promotion or a SSL Certificate, we can (and have) done it all! Want to get started? Purchase a Product or Service in our Client Area Get an Estimate below or contact us for a Quote. Easily estimate the cost of a website or a mobile app using our online tool. Thanks, we will contact you soon regarding your order. Basic SEO - no charge. Logo Design - one time cost. Google Analtyics - one time cost. E-commerce - one time cost. Domain Registration - yearly fee. Website Hosting - yearly price. Website - Your presence on the internet. Mobile App - Game or Application on mobile devices. Regular App - Anything not game-related. Game App - 2D game engine. Windows Mobile - Windows Phone/Tablet. Responsive - no extra charge. Selling something? Promoting a business? Just getting some information out to an audience? If you have a preferred color scheme then list it above. Other sites in your field that you want your new site to be similar to. Wordpress - the most popular CMS on the planet. Concrete5 - in-context editing for ease of use. Joomla - powerful CMS that may take longer to learn if unfamiliar. WooCommerce - E-Commerce for your Wordpress site. Magento - select only if you chose E-Commerce earlier. OSCommerce - select only if you chose E-Commerce earlier. Need delivery in less than 30 days? List the name of what we should call the website in the box above. List your name or who we should contact in the box above. Enter your email here (so we can contact you). Have a comment or something else to tell us? Shared hosting starting at just 3.95 a month, these plans are tailored to fit your needs! Reseller hosting plans provide you with all the tools and support needed to become your own web host. VPS hosting gives you total control of your server environment. One Click InstallOne click in the Control Panel installs your favorite software. I’ve never had a better support experience. You guys know what you are doing and that helps me sleep at night. Stellar uptime, quality support service. Excelsior Creations Hosting is highly recommended in my book. Wish I would have hosted with you guys years ago.